If you were arrested for intoxicated driving, you are likely feeling stressed out, overwhelmed by the situation and uncertain about what you should do next. This is normal; Florida DUI arrests are notoriously complex. Very few people have a strong understanding of the process. 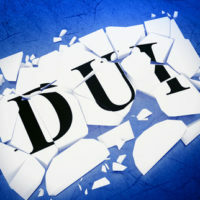 Indeed, most people do not realize it, but if you were arrested for DUI, you will likely face both a criminal and a civil case. Certainly, the criminal charges are incredibly serious, and you should work with experienced Tampa DUI defense lawyer to address that issue. However, it is the civil case, the case that involves your driving privileges, that will require the most immediate attention. In fact, if you fail to act within ten days, your right to drive will be automatically suspended, perhaps for many months. Under Florida law, anyone arrested for intoxicated driving will have their license automatically suspended. This means that your license will be suspended if you fail any type of roadside test or if you refuse to take any type of drunk driving test. Indeed, if you are charged with a DUI based off of the officer’s observations, even if the responding police officer was completely wrong, your license will still be automatically suspended. This is a harsh penalty, considering you are subject to it before you have ever had your day in court. The good news, however, is that you have options available that may help you save your license. However, if you do not act immediately, those options will quickly disappear. Under Chapter 322.2615 of the Florida state statutes, all motorists have a right to seek a review of the administrative suspension of their driving privileges. Still, under the statutes, you have a very limited amount of time to take action. If your Florida driver’s license is suspended for an alleged DUI or an alleged refusal, you only have ten calendar days to file for a formal or informal review of the suspension. When you file for review, your suspension will be temporarily set aside while your case awaits its hearing. This means that your license will be ‘un-suspended’ until you actually get a first level hearing. The Florida Department of Highway Safety and Motor Vehicles should grant you a hearing within 30 days of the date that you filed your claim. At the hearing, you will be allowed to make your case and hear some of the evidence against you. With the help of an attorney, you may be able to get your Florida driver’s license reinstated. Additionally, the hearing can help your attorney acquire some critically important information for the purposes of representing you during any related criminal proceedings. Drunk driving is a very serious charge in Florida. If you were arrested and charged with a DUI, you need to take action today. Please call the experienced DUI defense attorneys at Pawlowski//Mastrilli Law Group for immediate legal assistance. From our office in Tampa Bay, we serve communities throughout the region, including in Hillsborough County, Pinellas County and Pasco County.